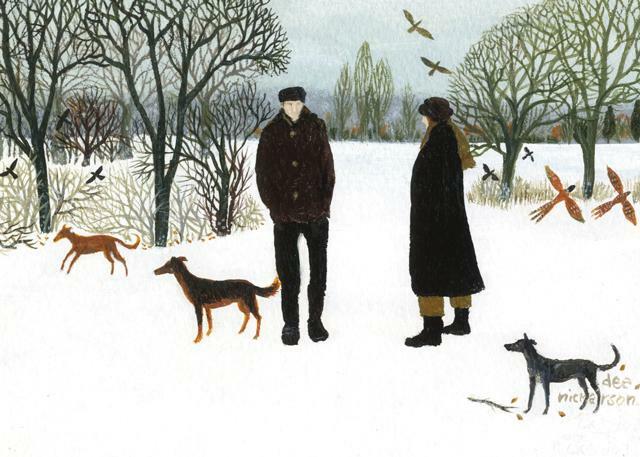 Greeting card reproduced from an original painting by Dee Nickerson. 125 x 175mm with off-white paper envelope. Published by Green Pebble.